excelled in Dedication to the U.G.A. Membership, Grappling Tournaments, The Cage or Ring, and/or made Valuable Contributions in the way of Service(s) to the U.G.A. Brand. "For Your Lifetime of Achievements and Commitment to the U.G.A., You shall be Forever Remembered and Honored as part of our Family of Athletes and World Wide Association of Mixed Martial Artists. Thank you for your Continued Dedication to the Universal Grappling Academy Family and Team." Universal Grappling Academy LEGENDS / HALL of FAME. This incredible young man went from being born with a severe respitory dysfunction to one of the top young athletes in the world of MMA. With the heart of a Lion, Brenyn would not let his lung issues stop him from Training Hard & Finishing Strong at every task that he had come his way. 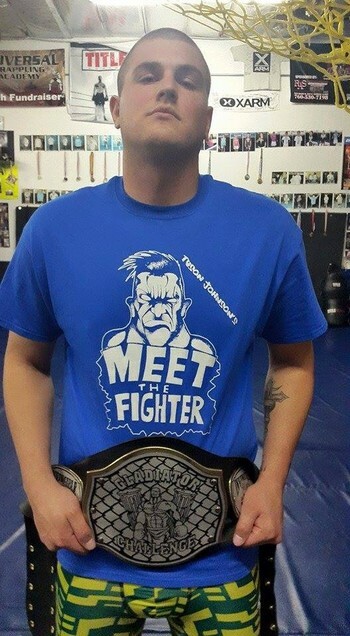 Brenyn won multiple grappling tournaments and helped his U.G.A. team win team trophys on many occasions. "Iron Heart" was a multi-time holder of the U.G.A. 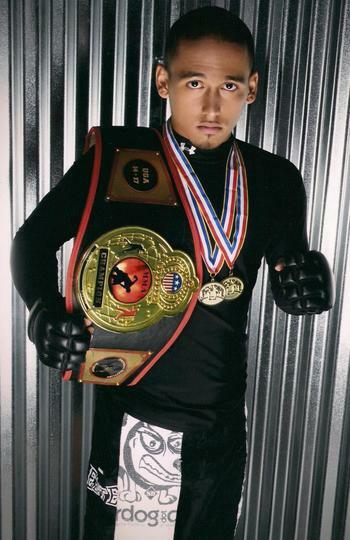 kids Championship title as well as also holding the adult Lightweight Championship belt at the same time. As a great student from a very young age Brenyn later became a great leader as he worked his way into the roll of Assistant Instructor of the highly decorated Universal Grappling Academy Kids Program. Brenyn helped touch the lives of many of the young grapplers and taught them to work hard and apply their positive attitudes in their personal lives as well as in the UGA. On the evening of Wednesday June 8, 2011 Brenyn had an asthma attack and despite the efforts of his mother, he could not recover. At 9:52 pm we all lost a friend, teammate, a champion, and an incredible son as our beloved "Iron Heart" died at the tender age of 18 from acute respitory failure. He shall be forever loved and missed by family, friends, and his many fans. A Woman of strong dedication to her faith, family, and UGA team who doesn't know the meaning of the word Quit! 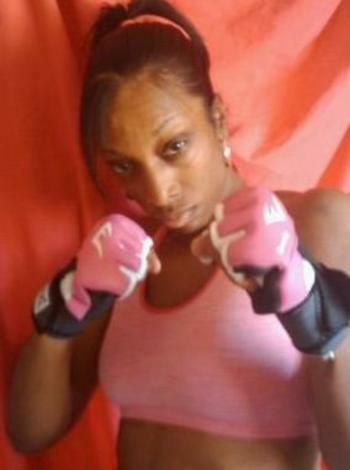 Mia may have Stage 4 breast cancer that has spread in to her bones and brain but "The Mighty One" refuses to TAP OUT! (Stage 4 survivor) This woman is a true Champion of life and a great member of the Universal Grappling Academy Team along with her 3 wonderful children. Since joining our program, Mia has lost over 30lbs and has become a great grappling competitor and friend. Please read her story and see if she doesn't inspire you to live your life the best you can and strive to achieve any goals that you may have. This remarkable woman fought for her life with the strength of her God, the love of her family, and the support of the Universal Grappling Academy. 10/ 23/2011 -Just a couple of hours ago Chloe' and I went to see our Inspirational "Mighty" Mia Camara at her house. She had lost most of her motor skills. We presented her with her UGA HALL of FAME Award that you can see on our website. It's been about 2 hours and our Beloved Teammate and Friend has passed on. We love Mia and she has been a GREAT part of our team and lives. May she rest in peace as she is now CANCER FREE!